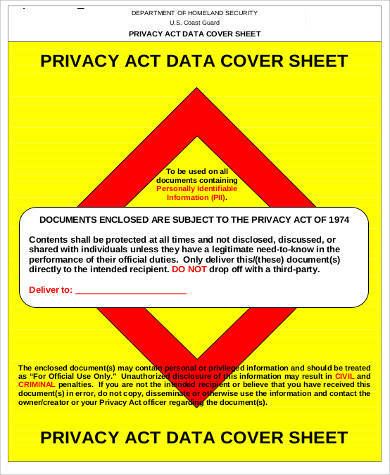 Cover sheets are typically one-page folios that are placed before any document, files, research papers and reports that contain either a description of the document or an introduction and contains the author’s name, title of the document or manuscript and the date of submission or publication. 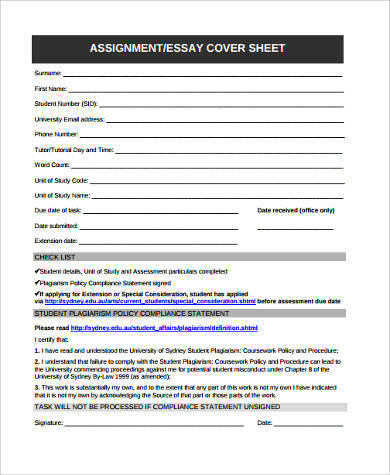 We offer several examples of Cover Sheet forms, templates and formats that cover several applications not limited to just either documents or manuscripts. 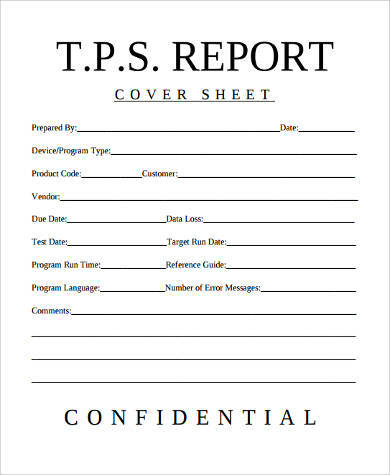 We also have Sample Fax Cover Sheets for transmission that have standard or specialized forms that can be easily viewed and read by the receiver. These are all offered free for downloading and printing and are available in either Word Doc or PDF file. 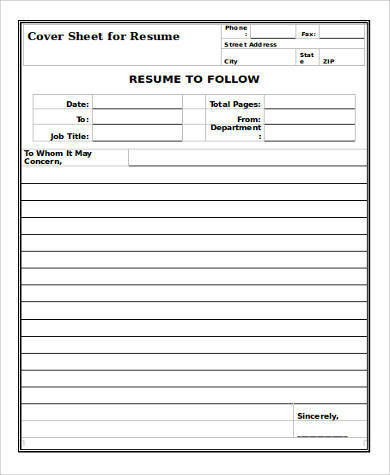 Cover Sheets for Resume are also included in case one is needed on top of the cover letter for a well-organized presentation. 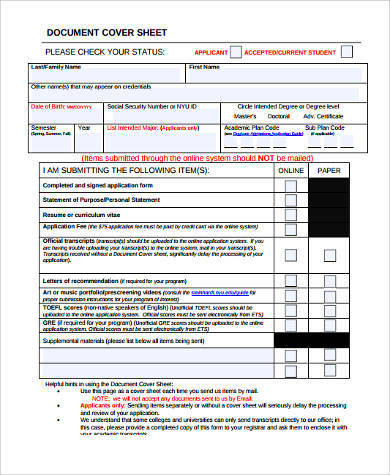 While nowadays Cover Sheets and cover letters are no longer really necessary, it’s really in the job applicant’s discretion whether to include both Cover Sheet and cover letter or forgo such formalities in their application form. Since cover sheets have a broad array of uses, our samples are offered to fit any of your possible requirements. These are generally based on the formats with which they can easily be edited or modified according to how users want these to be presented. Comes in bright colors to highlight the importance of the confidentiality of the document. Comes standard with U.S. Privacy Act warning label that can be edited or modified according to a government agency’s specification and which country the agency belongs that may find it useful. Can be used either for mailing or submission online. 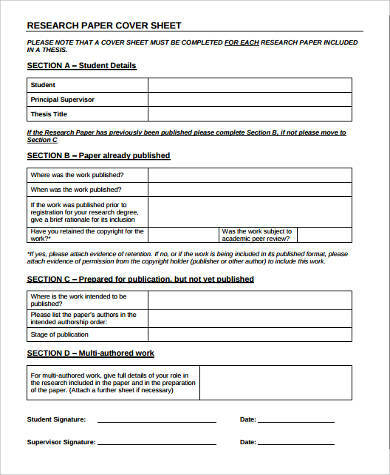 Comes in a standardized form with blank spaces for filling out (particularly for online submissions). 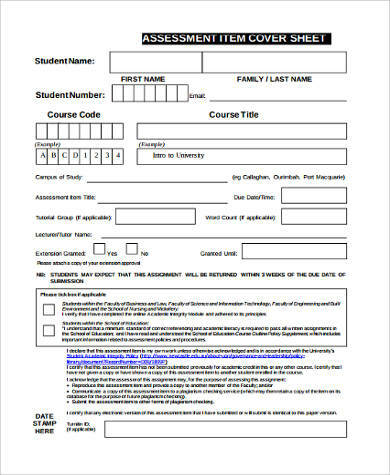 Normally used for official transcripts and resumes or curriculum vitae. 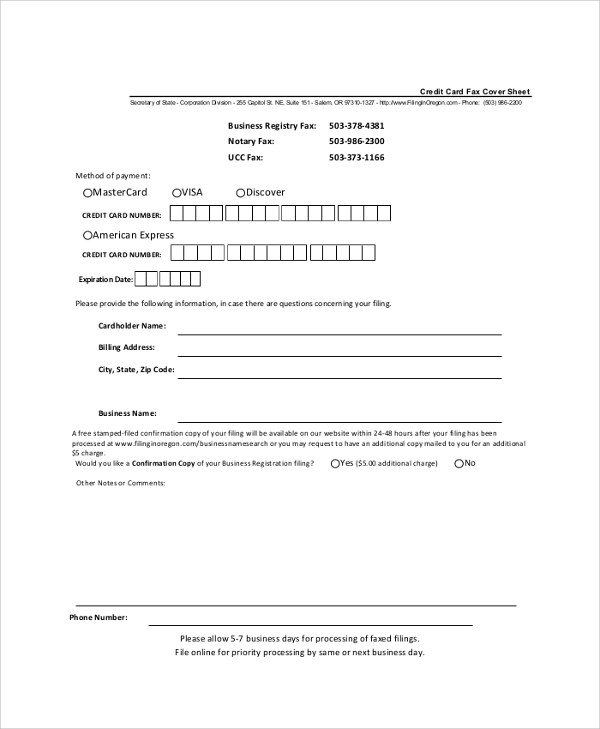 We also offer free Blank Fax Cover Sheets for messages that don’t need any standardized forms. They can be used personally or for any company that has several departments for interoffice memo and are also available for downloading or print in either Word Doc or PDF file. Cover Sheets are not just for assignments and research papers. 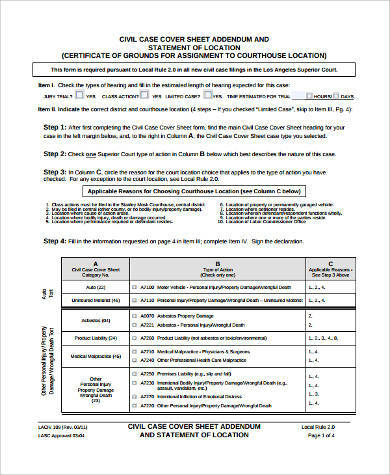 Legal documents need cover sheets also and we have the sample templates for Civil Case Cover Sheets, which can be used for several civil document cases that need informational procedures and similar applications. Finally, we also have free Sample Fax Cover Sheet templates that are standardized for office use. Besides secretarial use, these also have clerical functions for credit card, accounting and bookkeeping purposes. 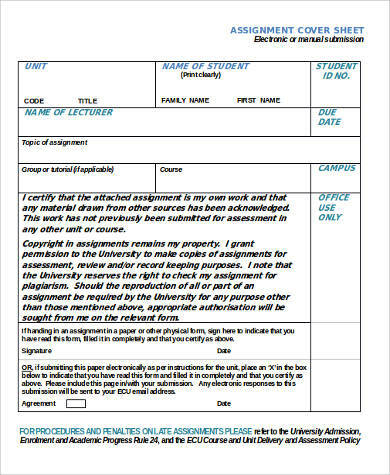 These are also available for downloading and printing for multiple copies to be used automatically when the need arises.